Happy December 1st! And its the first Sunday of the month so you know what that means, Jaded Blossom challenge time!! This months challenge is anything CHRISTMAS related! Here is what I created.. 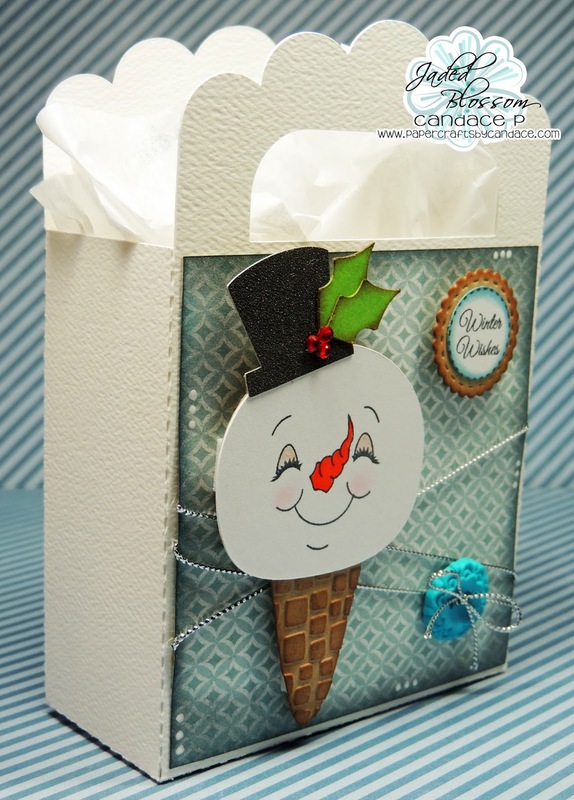 This adorable snowman and handle bag are from SVG Cutting Files. The sentiment Winter Wishes is from Winter Candies and I layered it on a Candy Charm Die. Here is a close up, I used a Peachy Keen stamp for the face. Thanks so much for checking out my project today! Check out Jaded Blossom to see what the rest of the team created! cute cute chickie !!! love the button and embossing !! Such a cute snowman and love the embossing on the cone!!! 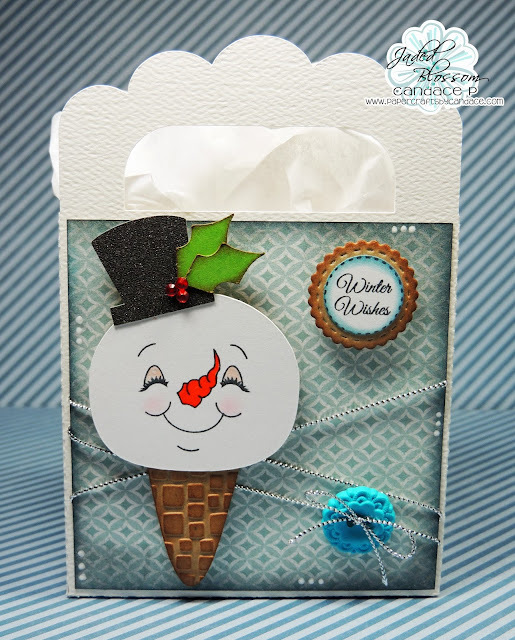 i love that snowmans cone! great bag! This is just the CUTEST thing EVER!!! You ROCK!! Soooo cute! Love your darling snowman and the embossing looks amazing! 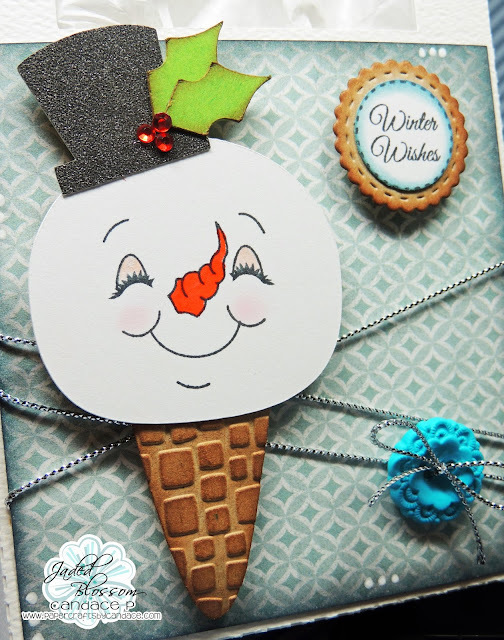 Super cute snowman.. love the embossing on the cone. What a cutie! I love the embossing on the cone! Really cute touch! Too Cute, the peachy face is perfect.